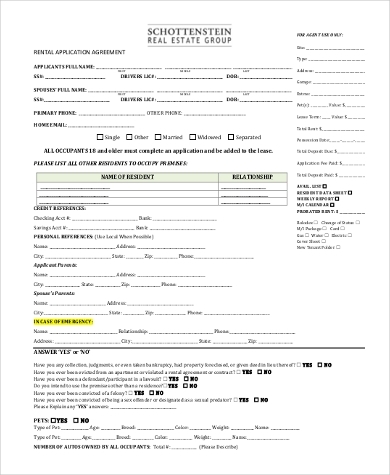 It is commonplace business-sense to have some type of Application Form before almost any enterprise. 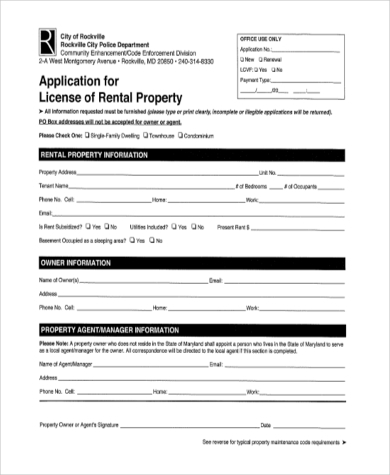 The rental industry is no exception. 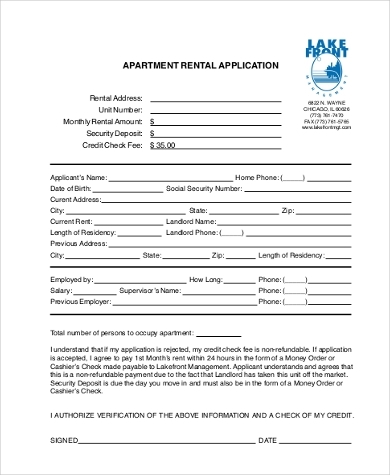 So if you are looking to move out and rent a place, expect to have to do more than call a number and conduct an interview. 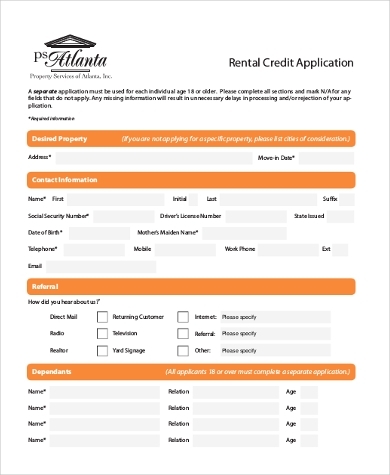 Below you can find some free-to-download sample rental applications to help you start off right. 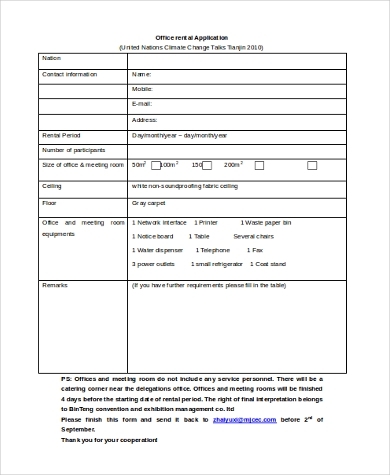 Click to download for free as Word documents or PDF files. Open in your favorite word processing software or PDF editor, and tailor it to your needs. 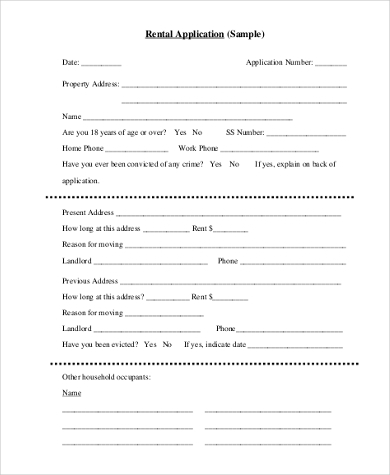 Print several copies if you are a landlord distributing to applicants. 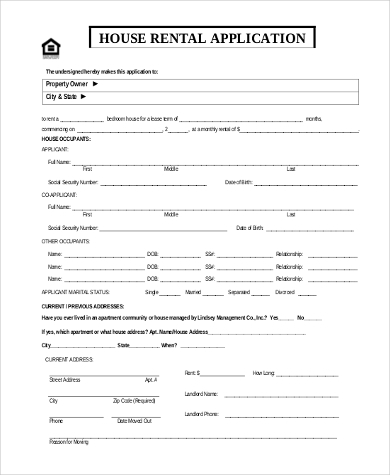 Fill out the details and submit it to the owner of the house when you go apartment hunting. 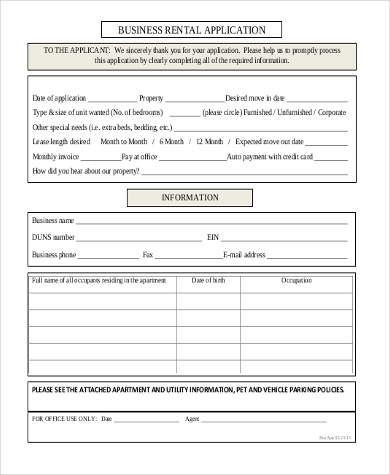 We offer hundreds of Sample General Application Forms for various purposes. 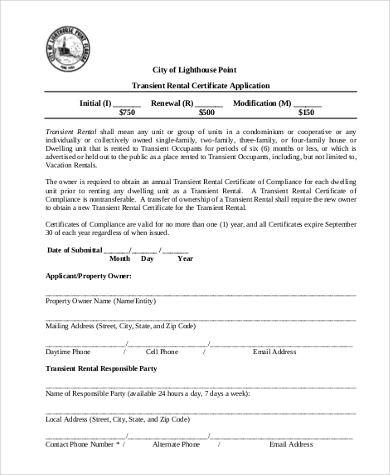 Many of these are specifically Sample Apartment Rental Application Forms, useful for both those renting out and those looking to rent. See also the Additional Resources at the end of the article for more free form templates and letter samples. Looking for more? 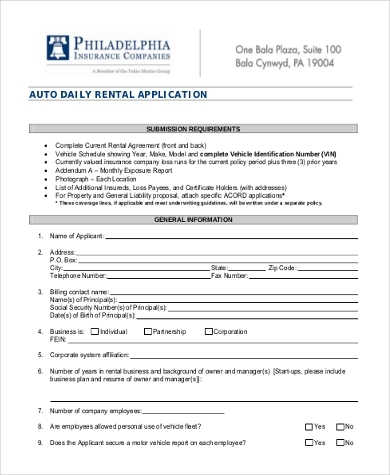 Check out our Sample Rental Application Forms for more examples to help you conduct your routine rental business paperwork. 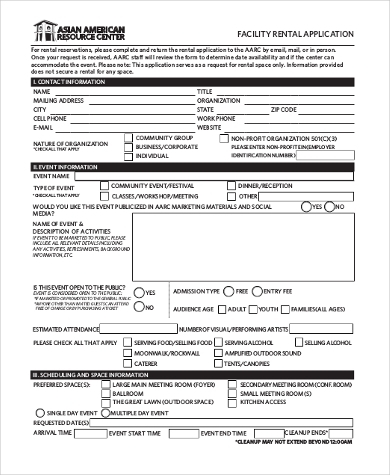 SampleForms.com holds a huge and impressive collection of different kinds of free business paper. 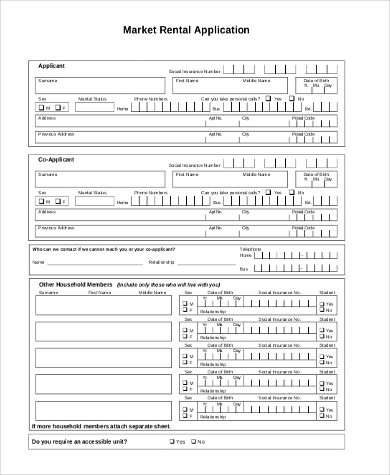 Our sample forms come in a myriad of formats, most especially Microsoft Word and Microsoft Excel and PDF formats so you are ensured of easy editability and printability.